Michael Muller has carved a career out of impressive encounters. 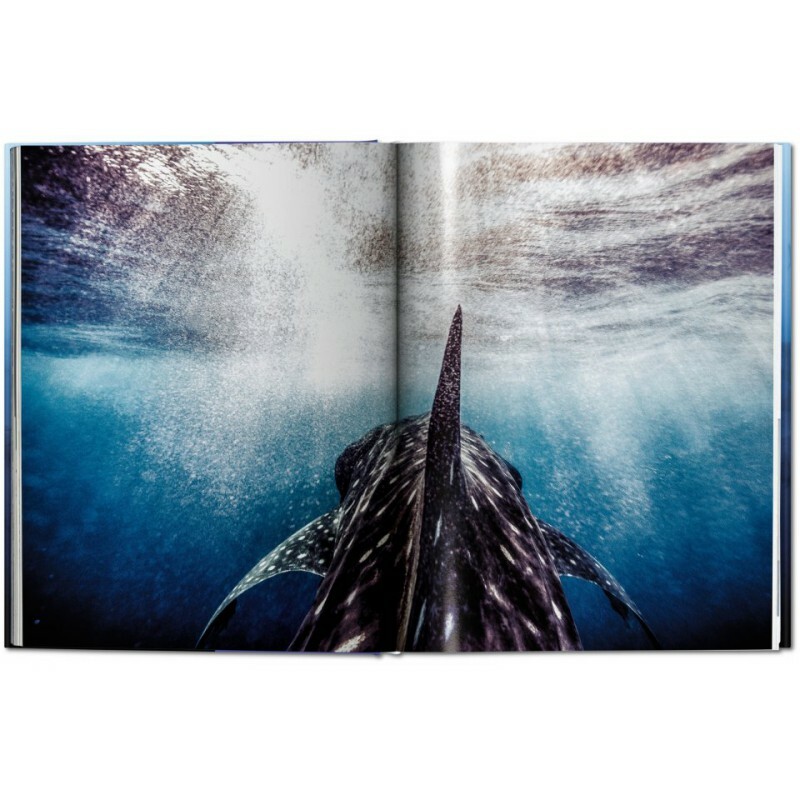 Famed for his portraits of the world’s most elite actors, musicians, and sports stars, he has in the last decade built up one of the most spectacular portfolios of underwater shark photography. 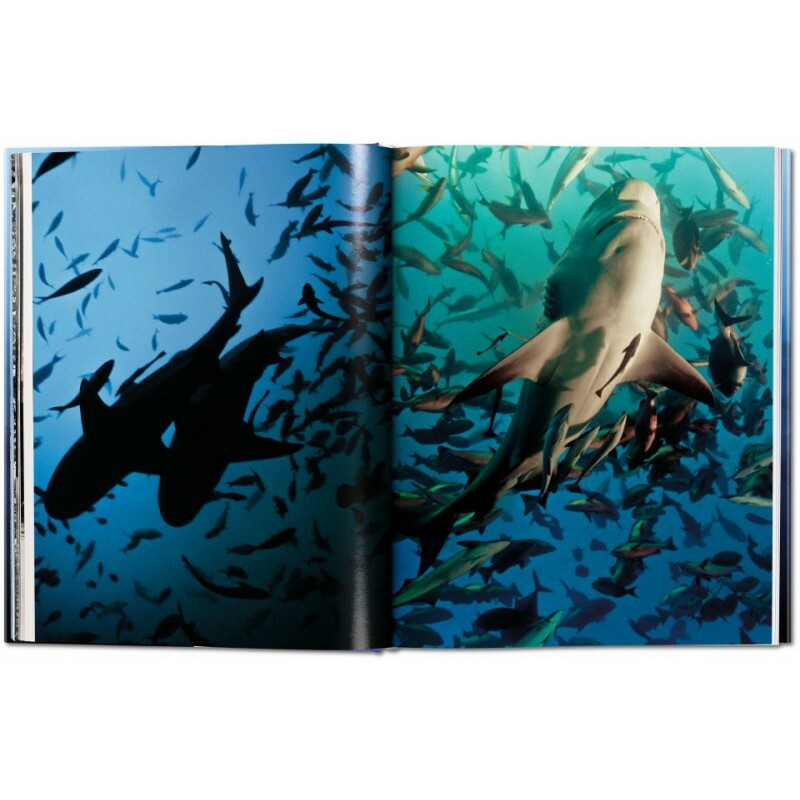 Muller’s quest is to document sharks with an unprecedented proximity and precision. 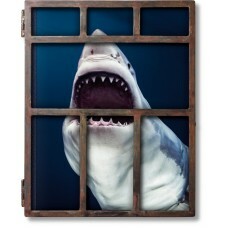 In ocean depths around the world, he approaches the sharks with a patented seven-bulb, 1200-watt plexi-encased strobe lighting rig, developed with NASA engineering, bringing the Hollywood portrait session to the ocean predator. 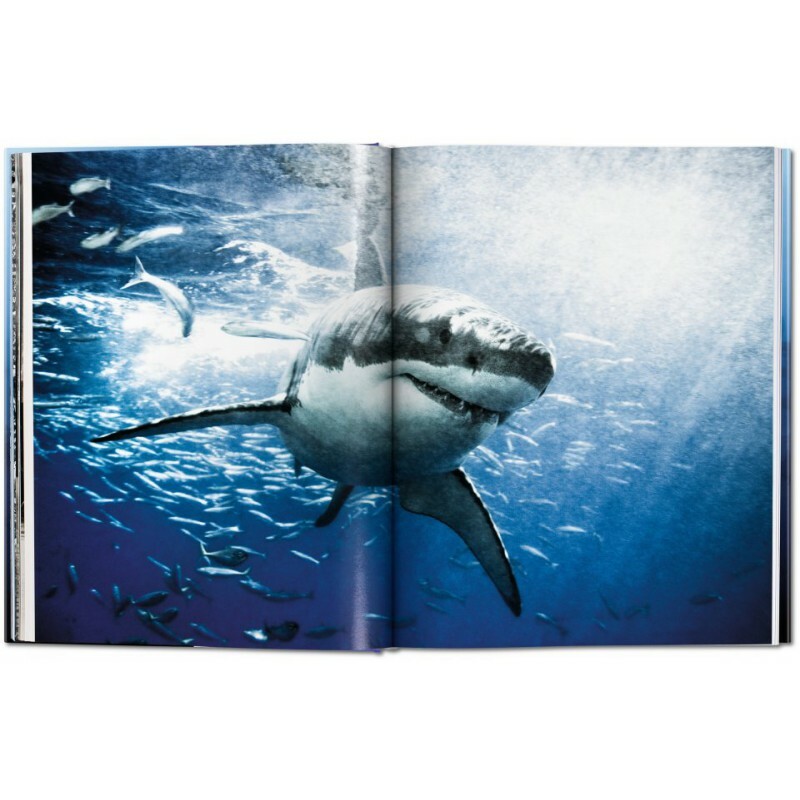 This Collector’s Edition of Muller’s images brings the best of his shark shots together in a stunning portfolio of adrenaline and awe. 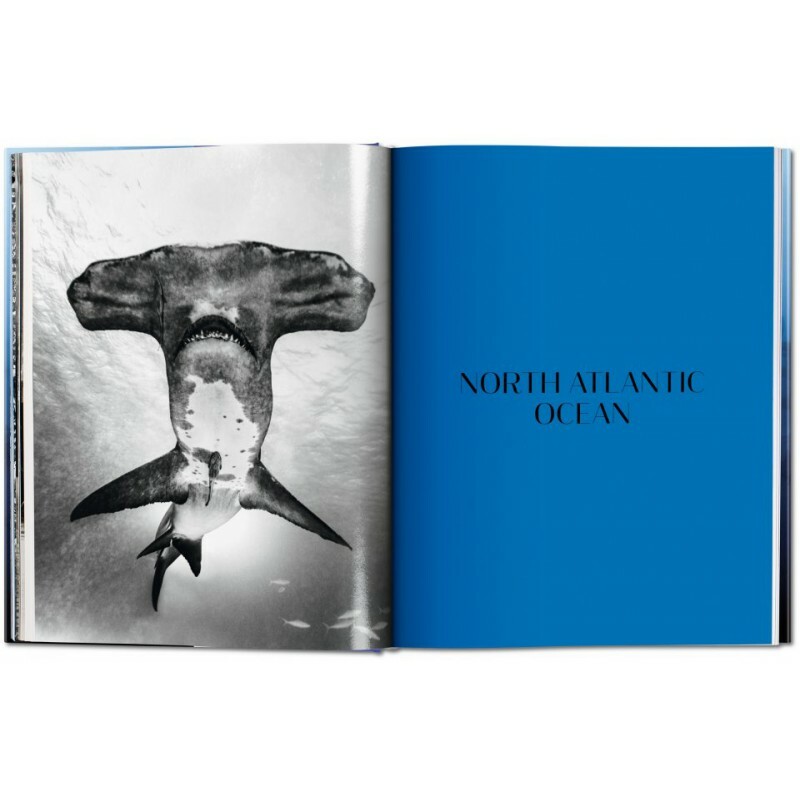 Arranged geographically, it follows Muller’s ocean adventures from black tip and sand tiger sharks in South Africa to great hammerheads in the Bahamas and the first known photograph of a great white breaching at night. 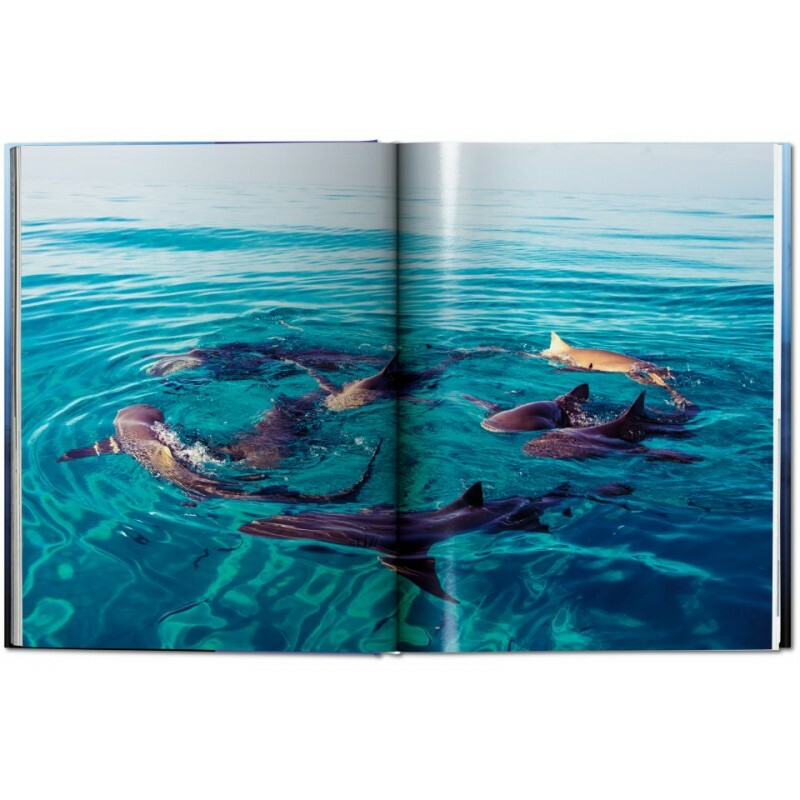 Thrilling narratives from each trip document the challenges and near-misses along the way. 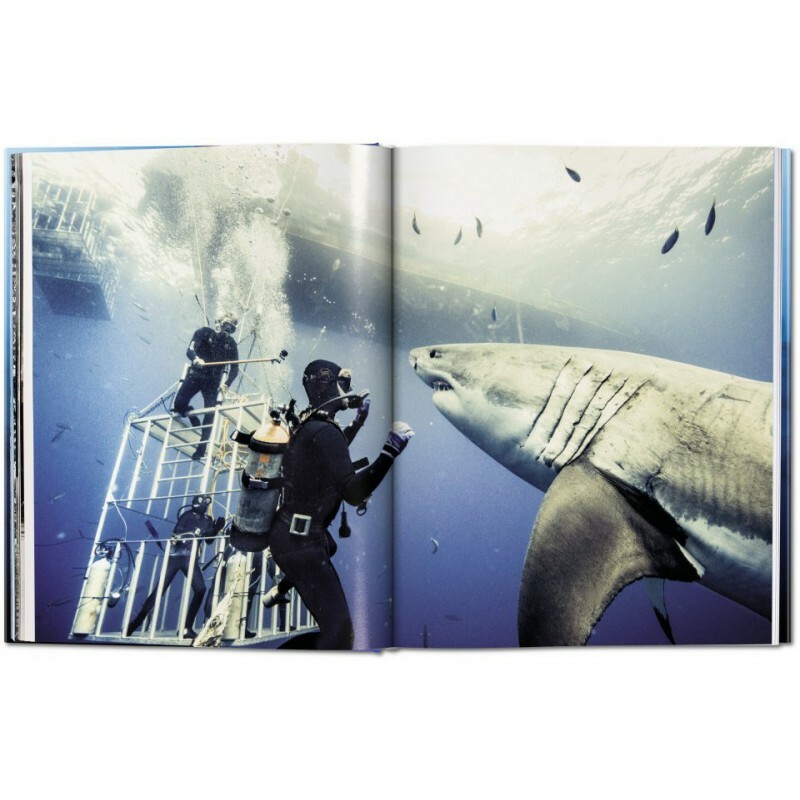 The book is presented in its own metal cage, conceived by Muller to allow readers an even more vivid sense of his underwater encounters, as if they themselves were diving down to face the sharks. 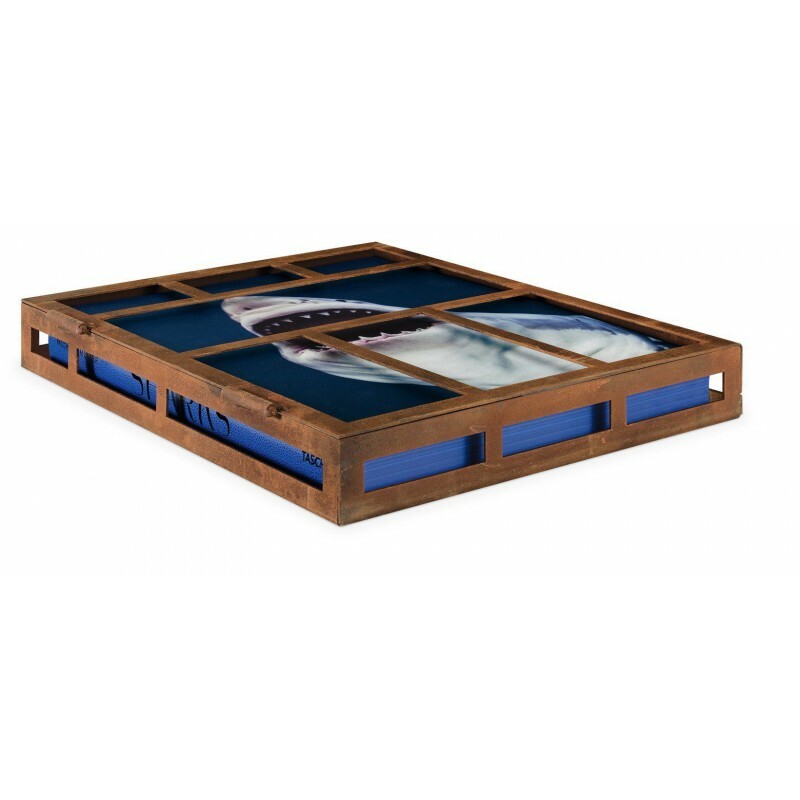 Each cage is individually distressed to reflect the effects of time and salt water. 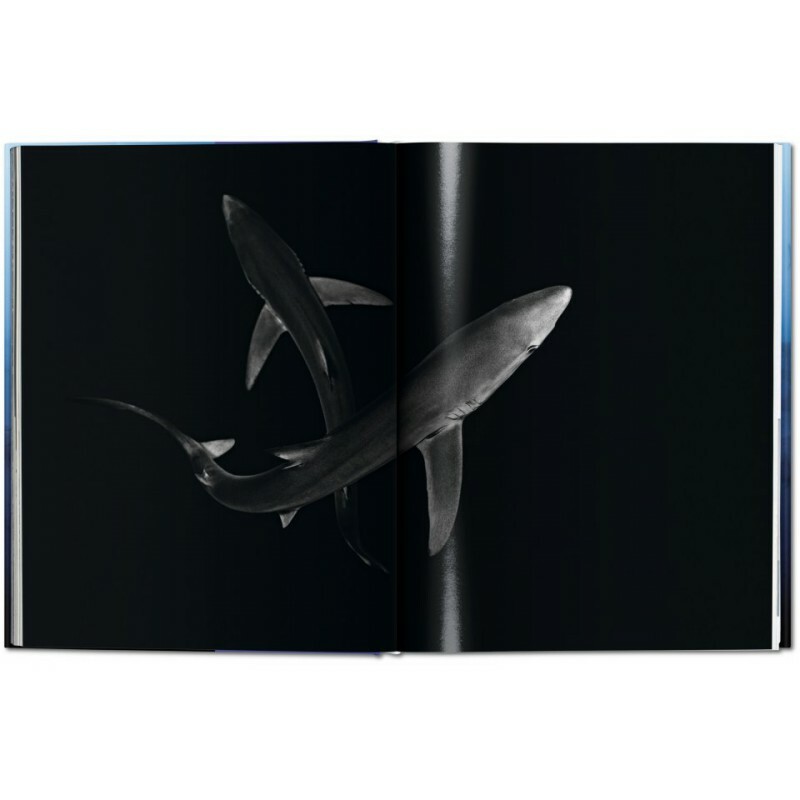 To compliment Muller’s work for advocacy organizations such as WildAid and EarthEcho, his photographs are contextualized with essays from Philippe Cousteau, Jr. and marine biologist Alison Kock, who discuss exploration and conservation of our oceanic kingdom. 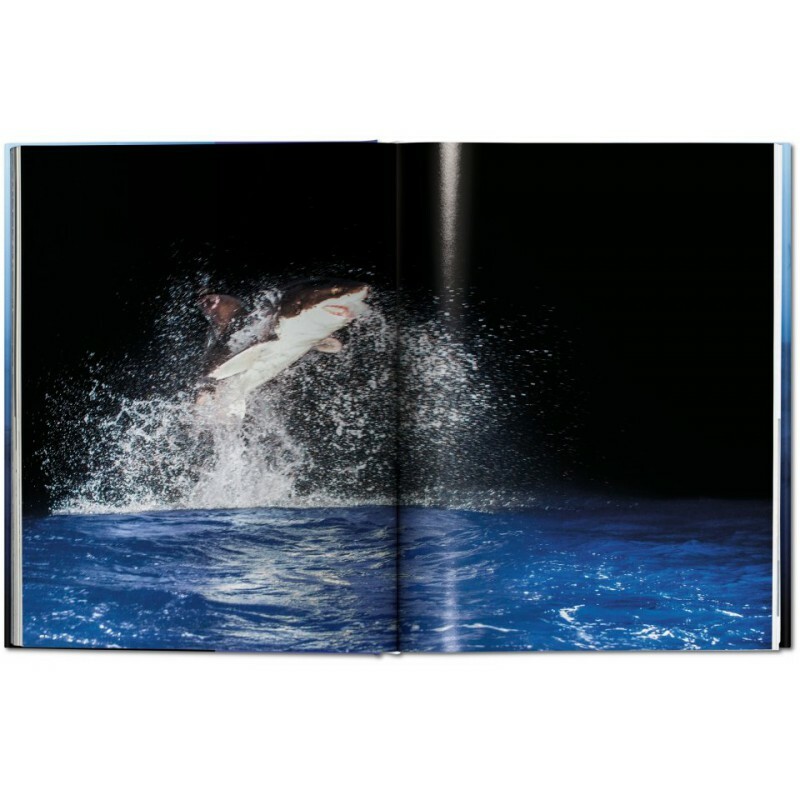 Culture writer Arty Nelson adds an overview of Muller’s work, while a technical section explains the precise equipment behind these spectacular shots. 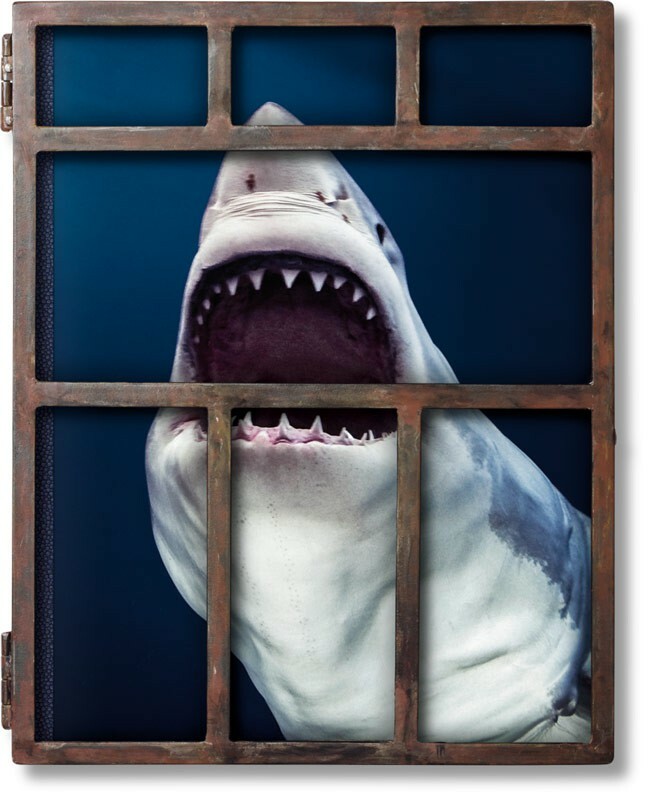 Collector’s Edition of 1,000 copies, each signed by photographer Michael Muller, with its own metal shark cage. Los Angeles–based photographer Michael Muller has circled the globe shooting celebrities, rock stars, outlaw bikers, super heroes and elite athletes for such publications as Vanity Fair, Rolling Stone, The New York Times Magazine, and Harper's Bazaar. 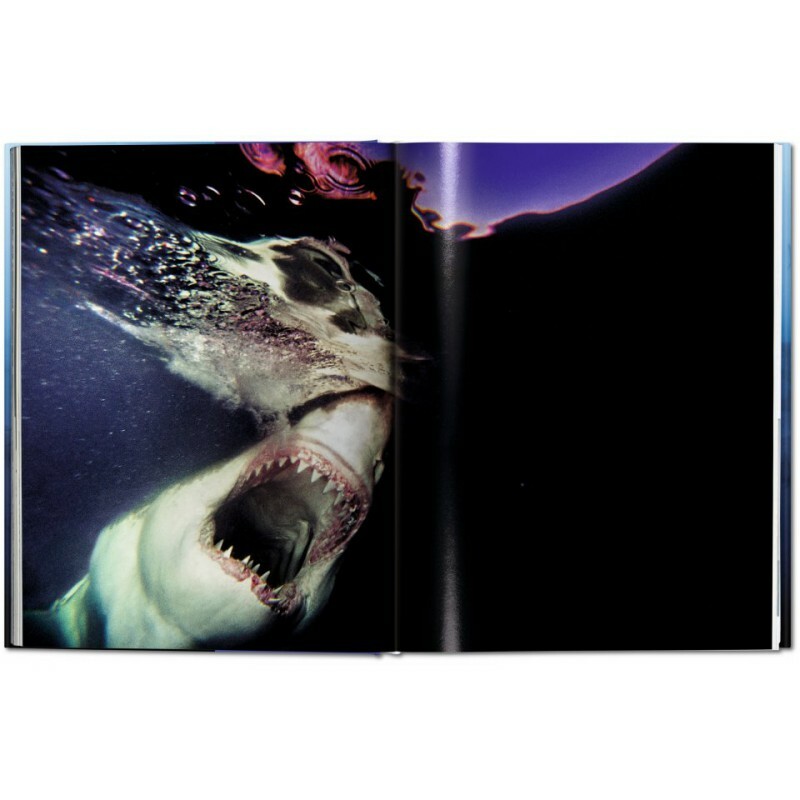 Ten years ago he turned his lens underwater and began photographing sharks as they’ve never been seen before. Philippe Cousteau is a prominent leader in the environmental movement. An award-winning television host, producer, author, speaker, philanthropist and social entrepreneur Philippe is the son of Philippe Cousteau Sr. and grandson of Jacques Cousteau. Dr. Alison Kock is a marine biologist and the research manager for the City of Cape Town’s acclaimed Shark Spotters Program. She is a member of the South African Acoustic Tracking Array Platform, is a project leader for the Save Our Seas Foundation, and scientific advisor for the South African Shark Conservancy. Arty Nelson has written essays for monographs and artist catalogs on Wes Lang, Chris Johanson, Ed Templeton and the critically acclaimed Beautiful Losers show.